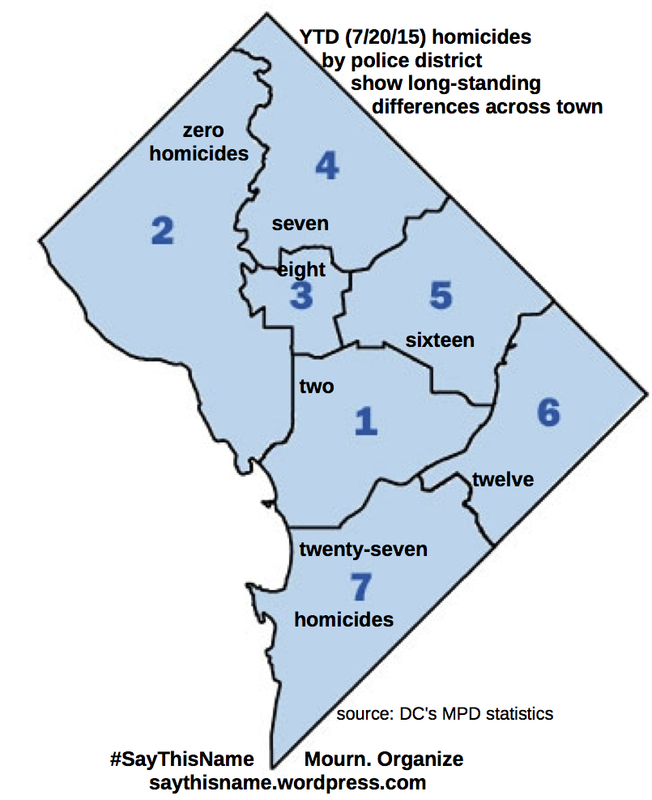 DC losses to homicide. Mourn. Organize. the May 4 death of Jeffrey Wayne Price, resulting from a police-involved crash, is listed by MPD as traffic fatality, not homicide. See Data Page for some background on homicide in this divided city and About for more on this blog. Subscribe for weekly posts (above) or check back each Thursday...may the list soon be an empty one! Current publication is Thursday mornings. This is meant to facilitate sharing of names through weekly announcements, newsletters, etc., but suggestions -- including schedule alterations -- are welcome. Suggestions -- including additional resources to share are most welcome.